Sunny skies returned to northern Utah today after a chilly start to the morning. Most valley locations met high temperatures in the 30s this afternoon, while warming at higher elevations was aided by warm air advection (but not really that warm) this afternoon as southerly winds picked up. This afternoon, Mt. Baldy warmed up to 6 F compared to a temperature of -6 F about 24 hours ago. Sustained winds up at Mt. Baldy are now around 40 mph with gusts to about 60 mph as of 3pm. The sun will not last for much longer though as more storms are moving in over the weekend. On the GOES-17 pre-operational satellite loop below, we can see the components that will bring change to our weather this weekend, as highlighted well in Marcel’s post yesterday. There is a small circulation off the coast of California as well as what will become a much larger system working westward and southward out of British Columbia. Over the next few days the former will wrap around the latter and be ejected into the Intermountain West and approach Utah on Saturday. The larger system will follow and bring impacts to northern Utah on Sunday afternoon. True-color GOES-17 pre-operational satellite loop shows a circulation off of the California coast which will move into the Intermountain West on Saturday. 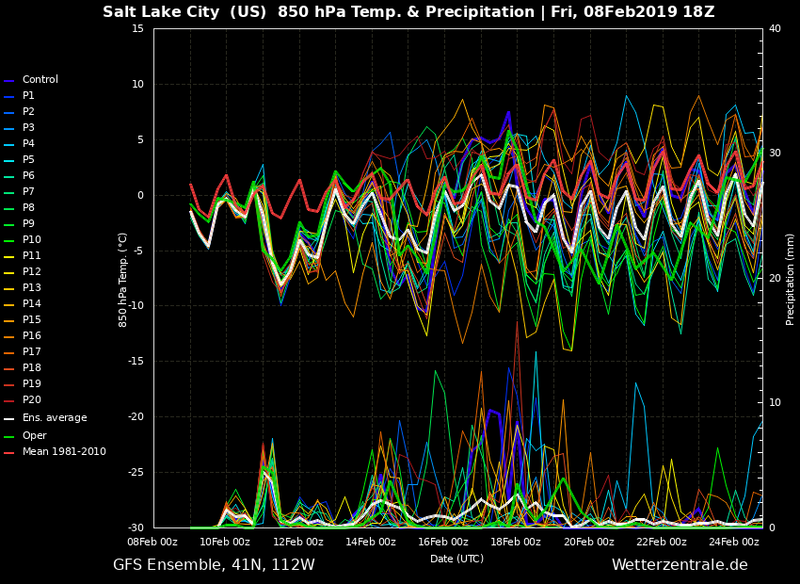 A less distinguishable system moving out to sea off of the SW corner of British Columbia will strengthen in the coming days and impact northern Utah beginning Sunday. (College of Dupage – click for current view). Clouds will filter in this evening and overnight, and snow should begin midday tomorrow at higher elevations. It will be cold enough to snow at all elevations tomorrow but the higher snowfall amounts will be confined to the mountains. The highest intensity of snowfall is expected in the late afternoon to early evening hours as moisture moves in. We could see a brief lull in precipitation Sunday morning between storm segments, but snow will pick back up Sunday afternoon as a cold front moves through (looking to be close to 5pm local time on Sunday). Snow will continue overnight into Monday along with cold air similar to what we have experienced the past couple of days. Storminess looks to continue through the following week or so as we make our way into another holiday weekend. Check back with us tomorrow for a more detailed look at expected snowfall totals on Sunday and into Monday. Be safe on and off the slopes this weekend with the new snow and be aware of avalanche conditions!